Philip Gardos, an active member of the Rosedale Development Association, lives on State Line Road in the Kansas City, Kan., neighborhood. Residing on State Line Road in the Kansas City, Kan., neighborhood of Rosedale can be puzzling at times. 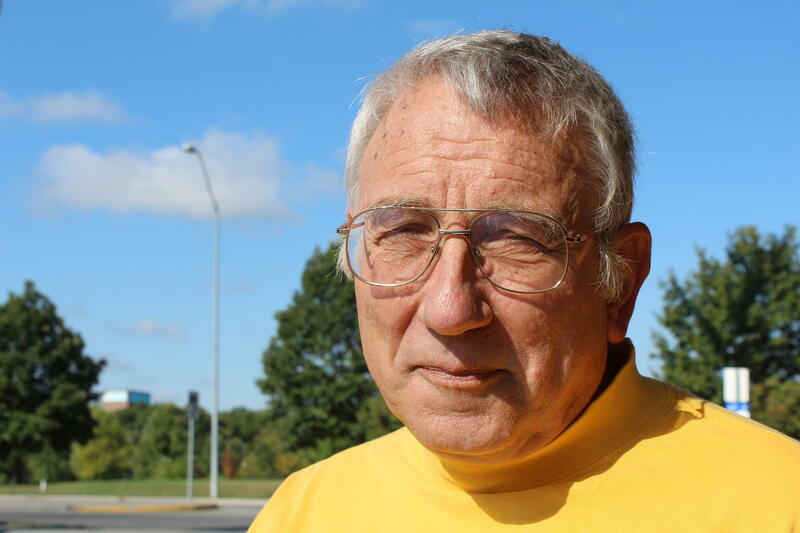 As a former postal worker and resident of Rosedale since 1970, Philip Gardos recalls State Line neighbors hauling their trash across the street to Missouri or Kansas to take advantage of the other side’s trash day. He’s seen Missouri and Kansas roads just feet away from each other receive very different treatment on snow days. And calling 911 to report a fire across the street proved highly cumbersome for him, as dispatchers struggled to figure out which jurisdiction the blaze was in. For the rest of the year, KCUR's Beyond Our Borders project will examine the state line in the Kansas City metropolitan area. We met Gardos last week during a community listening session in Rosedale, part of Beyond Our Borders, a months-long project looking at how Kansas Citians divide themselves in a bi-state metropolitan area. In the spring and summer, we focused on Troost Avenue, based on feedback we received from the community. 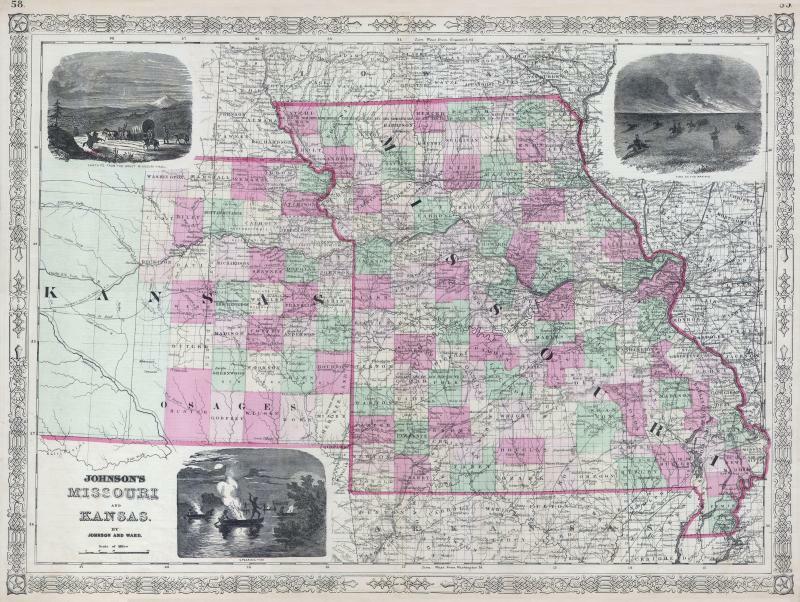 We will spend the rest of 2014 examining the state line in the Kansas City area. On Tuesday, Central Standard host Gina Kaufmann interviewed Gardos, asking him about life in on State Line Road and life in Rosedale — the Kansas barrio runs from the Kansas River to the north, 47th Street to the south, State Line Road to the east and 18th Street Expressway to the west. How has living right on the state line affected you? “When you call 911, one of the first questions they ask you is, “What is your emergency?” But then you’ve got to figure out whose problem it is. So, if it’s a hit-and-run or something like that they want to know which direction they went or which side of the state line was on and then they’ll get around to transferring you. I had a house across the street from me on fire one time … but (dispatchers) connected me to the KCK Fire Department. I tell them the address and they go, 'No, that’s Missouri.' It took three phone calls before we finally got the Missouri side … and the house is burning in the meantime." What do you think is important for the rest of Kansas City to know about Rosedale as a specific neighborhood and Kansas City, Kan./Wyandotte County in general? When I first came to Rosedale, one of the things I noticed about Kansas City, Kan., was they seemed to be suffering from an inferiority complex. I think that’s pretty much gone. Certainly the recent few years of development on the Kansas side made us pretty proud. And now when you say ballpark, people aren’t sure if you’re talking about the T-Bones’ new park or the Royals stadium. Just little things like that eventually get your attention. This look at the Missouri-Kansas state line is part of KCUR's months-long examination of how geographic borders affect our daily lives in Kansas City. KCUR will go Beyond Our Borders and spark a community conversation through social outreach and innovative journalism. We will share the history of these lines, how the borders affect the current Kansas City experience and what’s being done to bridge or dissolve them. Be a source for Beyond Our Borders: Share your perspective and experiences on the state line with KCUR. Eds note: This look at the Missouri-Kansas state line is part of KCUR's months-long examination of how geographic borders affect our daily lives in Kansas City. KCUR will go Beyond Our Borders and spark a community conversation through social outreach and innovative journalism. Having to file taxes in two states is the biggest drawback to the state line. At least according to one Kansas Citian, Marge Gasnick (@gasnickmarge), who responded to our question of the week on Twitter: How does the state line affect your life? As KCUR reporters begin to examine the state line for the next few months, part of our Beyond Our Borders project, we wanted to hit up our audience for story ideas. Bistate tax proposals. Sports rivalries. Competing school districts and business poaching. So much of what happens in Kansas City comes down to our location on a state line. But we're not alone. Tune in for a roundtable of reporters from cities on state lines.